Serving the needs of Chiropractic patients in Bucks, Montgomery, and Philadelphia Counties since 1996. Between Fetters Mill Rd. and Red Lion Rd. Ask Dr. Burak a question or just email a comment. Located in the heart of Huntingdon Valley at Huntingdon Pike and Red Lion Rd. since 1996, Dr. Michael Burak and his staff are dedicated to helping you achieve your wellness objectives -- combining skill and expertise that spans the entire chiropractic wellness spectrum. Dr. Burak is committed to bringing you better health and a better way of life by teaching and practicing the true principles of chiropractic wellness care. With our many years of chiropractic training and education, we have successfully treated patients with a wide variety of conditions. These range from neck pain and headaches to lower back pain, disc herniation’s and sciatica. We also have expertise in extremity related injuries such as rotator cuff, tennis elbow, golfers elbow, carpal tunnel syndrome, knee sprains, heal spurs, plantar fasciitis and even bunions!! 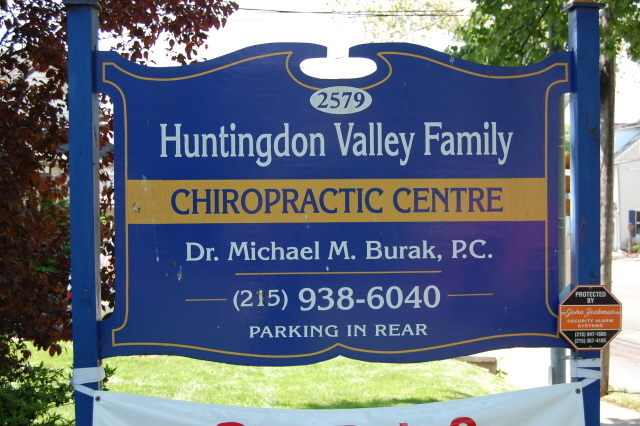 Patients seeking treatment at Huntingdon Valley Family Chiropractic Centre with Dr. Burak are assured of receiving only the finest quality care through the use of modern chiropractic equipment and technology. When you begin treatment here, you automatically become a part of our family, so let my staff and I get you back on the road to better health. After you are pain-free, let us show you how to live not only pain-free, but a healthy lifestyle. We are truly concerned for the well-being of you and your family. If you are new to our website, please feel free to discover and learn about chiropractic wellness. If you are interested in starting your journey towards wellness, please subscribe to our award winning newsletter. If you are already a newsletter subscriber, please explore the member wellness section of our website for wellness articles, resources, and health facts---specifically targeted by Dr. Michael Burak to your wellness needs and interests. Dr Burak has authored a new article about Spinal Misalignments, The Long Term Effects on horses. This can apply to human and our other pets as well. Do you suffer from sciatica? Do you have a disc herniation? The Triton DTS. This table is a non-surgical approach to treating neck and back disc herniation’s! It has a very high success rate and is PAINLESS! Call the office more information. or Visit our Spinal Decompression Page. Thanks for checking out my website. Let me know what you think and please provide me with any suggestions. Dr. Burak is board certified by the National Board of Chiropractic Examiners and has been licensed in the state of Pennsylvania since 1996. He earned his Doctor of Chiropractic degree from the prestigious Palmer College of Chiropractic in Davenport, IA in February 1996. 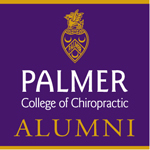 He opened his office 3 months after graduating from Chiropractic school. Upon graduation, he received many awards including the 'clinical excellence award'. He taught in the clinic, diagnosis and technique departments. He also interned for a local chiropractor who was a 'Gonstead' practitioner. "Dr Burak is the best ever! He always fixes me right up and always gets me right in. He takes his time to explain things and educates which really means a lot and not many drs do anymore. Thank you!"